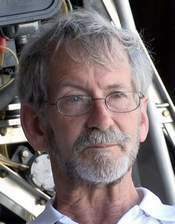 WASHINGTON (AP) ” A man who piloted his one-person gyrocopter through some of the most restricted U.S. airspace and landed on the lawn of the Capitol was scheduled to be sentenced Thursday. Douglas Hughes, 62, has said his April 15, 2015, flight in the bare-bones aircraft was a way to call attention to the influence of big money in politics. The former mail carrier from Ruskin, Florida, was carrying letters for each member of Congress on the topic of campaign finance and the tail of his aircraft had a postal service logo. Prosecutors are asking for 10 months in prison, Hughes’ attorneys say he should be allowed to remain out of jail.